Previously I have talked about how creatives can use Instagram to connect with the creative community and gain exposure. Now I want to talk more in-depth about how you can consciously curate an Instagram feed to align with your creative style. The most successful Instagram accounts have a clearly defined aesthetic that applies to every photograph they share. 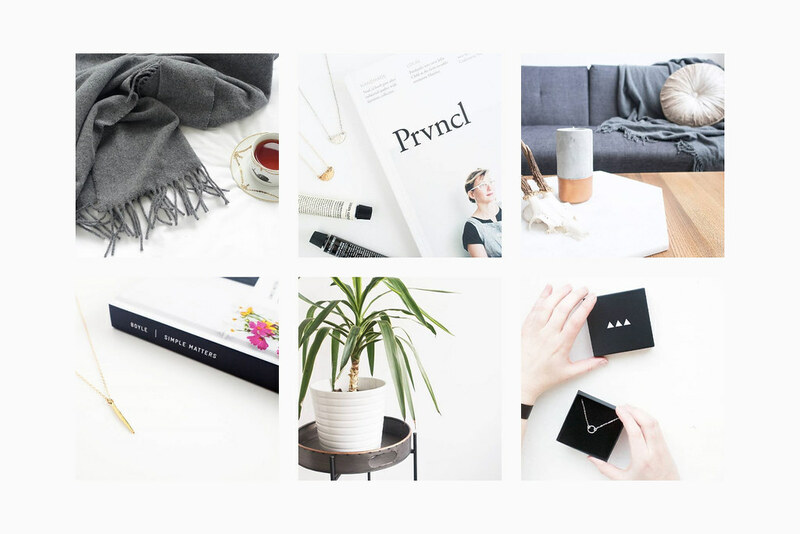 If you use your Instagram feed as a purely personal account, you might not want to curate it at all; for designer-makers and other creatives, Instagram is a useful tool that can be used to curate a cohesive brand and introduce it to new audiences. Think about what you want to share and clear time in your schedule to plan and take specific photographs. Take photographs of behind the scenes, work in progress, and finished product shots to share online. Much like using an editorial calendar for your blog, planning content for Instagram means your account stays active with consistent updates. Make sure your aesthetic aligns with your branding and vice versa - never share anything that doesn't fit into your brand's ethos. Edit your photographs in a similar way; use the same tones and familiar shots to help define your aesthetic. Focus on developing a specific theme, colour, and/or common composition. Utilise the best photography apps to enhance your photographs and produce high-quality images. Decide on the type of content you want to share and the way in which you want to share it. Remember when someone finds your account, the first thing they will probably do is scroll through your feed in grid view (rather than viewing individual photographs) to see, at a glance, what your content looks like altogether. This means it’s important to express a clear representation of what kind of account it is and what content they can expect to see - having a clearly defined, consistent feed means people are more likely to hit “follow." As a designer-maker, you might want to share finished products but also behind the scenes, work in progress, and a few candid personal moments. You don’t have to completely omit personal content, just remember to keep it within your established aesthetic boundaries. If your personal style doesn’t align with your business aesthetic, consider setting up separate accounts. You can be as free as you want with your personal account while curating a very specific aesthetic for your business resulting in the best of both worlds. To remain consistent with Instagram it’s important to post regularly without being spammy, withholding photographs to post later makes it easy to forget to post them altogether. There are several apps that allow you to schedule photographs and even post content for you - I use TakeOff. Used in conjunction with Iconosquare’s “optimisation” stats, it’s easy to schedule content for the optimum engagement time specifically for your account.